At Park Precision Machining we’ve worked successfully with a wide range of clients and industries. Our production CNC Machining equipment is complimented with a wide range of manual and second operation tools. 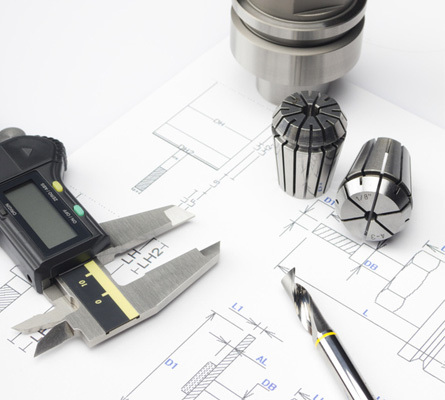 We can help you with your needs ranging from engineering, design, prototypes, short and medium run productions. Our staff will produce your parts with high efficiency and superior quality. We pride ourselves in CNC Precision Machining excellence in every aspect from milling, drilling, tapping and turning ensure for the best work on your projects. Please feel free to take a look at our example gallery to see some products we have CNC machined for our clients. If you have any questions if we can produce your projects or for quotes, please contact us. Our CNC Turning Centers are capable of turning at close tolerance. Extensive resources enable Park Precision Machining to run at high levels productivity and maintain superior quality. We turn all types of parts from forgings, castings and bar stock; and materials from carbon steel to aerospace exotics, and everything in-between. A variety of vertical, and multi-axis machining centers have allowed us to establish a premiere short and medium run presence in Minnesota. In addition we utilize cutting edge fixture techniques, enabling rapid transitions from one job to the next. We can machine ferrous, non ferrous, and specialty metals as well as composite materials and more. Park Precision Machining can assist in your CAD/CAM needs and provide accurate design solutions. Our professional staff will work with you to turn your ideas into tangible producible products. This can be as small as single part to assemblies containing thousands of components.